analysis of nearly 1.67 million profiles on India’s largest matrimonial site. 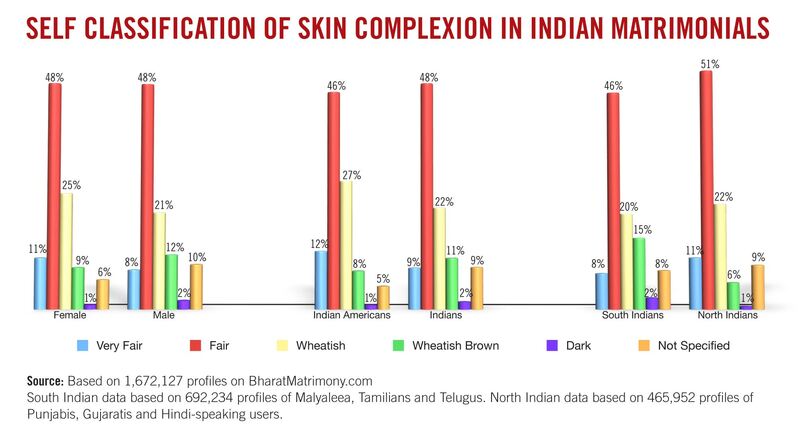 33% as wheatish or wheatish brown. wheatish — and just one dark. North Indians, but they constituted a tiny sliver of all Indians: 2% versus 1%. accompanying a friend meeting a family for a prospective groom for her sister. is tuned even to the seasons.